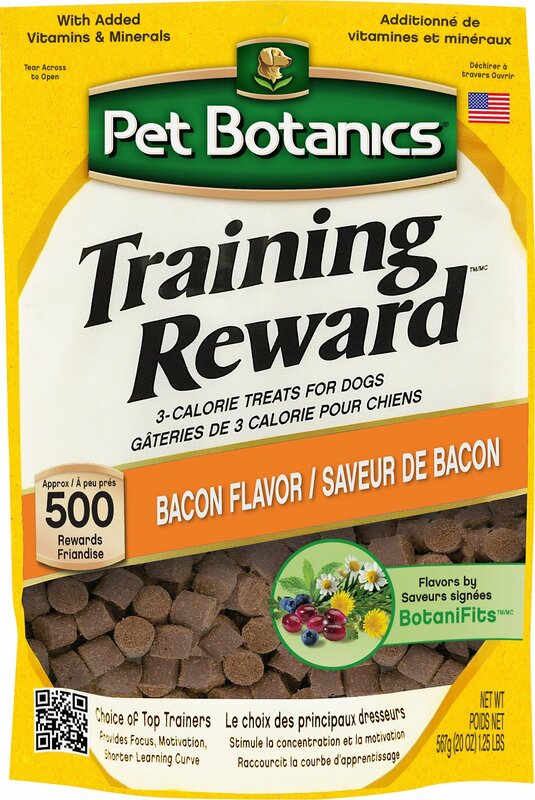 Recommended by thousands of professional trainers, Pet Botanics Training Rewards Bacon Flavor Dog Treats are perfectly sized for repetitive rewards required during training. Pet Botanics training rewards are easy to carry in your pocket or treat bag and have a mouthwatering palatability no pup can resist! Pork Liver, Pea Flour, Potatoes, Dried Whole Eggs, Glycerin, Flaxseed, Brown Rice, Sugar, Barley Flour, Tapioca Flour, Bacon, Sweet Potatoes, Natural Smoke Flavor, Chicken Fat (Preserved With Mixed Tocopherols and Citric Acid), Salt, Calcium Lacate, Lactic Acid, Coconut Oil, Phosphoric Acid, Salmon Oil (Preserved With Mixed Tocopherols), Dried Cultured Skim Milk, Cane Molasses, Caramel Color, Mustard, Iron Oxide (A Color), Natural Flavor, Cranberries, Blueberries, Carrots, Tomatoes, Rosemary (A Flavor), Chamomile (A Flavor), Dandelion (A Flavor), Yucca Schidiegera Extract (A Flavor), Green Tea Extract (A Flavor), Peppermint (A Flavor). Feed as a treat. Always have fresh water available. Pet Botanics Training Reward dog training treats are healthy and feature added vitamins and minerals for your pup's well-being. These enticing rewards command focus from your dog and motivation to perform, speeding up the learning curve. Used and recommended by thousands of professional dog trainers, they are proven to make training sessions productive and enjoyable. These delectable, moist dog training treats boast real pork liver as the #1 ingredient, resulting in a rich, meaty aroma and taste dogs can't get enough of. Available in two sizes—Original with 3 calories per treat and Mini with 1.5 calories per treat—you don't need to worry about your dog filling up before the training session is over. These dog training treats contain the proprietary BotaniFits blend—a carefully combined mixture of botanical ingredients that complement your dog's diet. These powerhouse ingredients include green tea, cranberries, peppermint, chamomile, rosemary, dandelion, tomato and blueberry to help improve digestion and support the immune system. The amino acids found in eggs are the foundation for healthy muscles and organs to keep your dog in her natural hunting form. Excellent source of fiber and minerals, and a good natural source of beta-carotene, an antioxidant essential for neutralizing free radicals. Pet Botanics is dedicated to the promise of quality, consistency and safety, and is committed to ensuring sustainable, environmentally friendly practices. 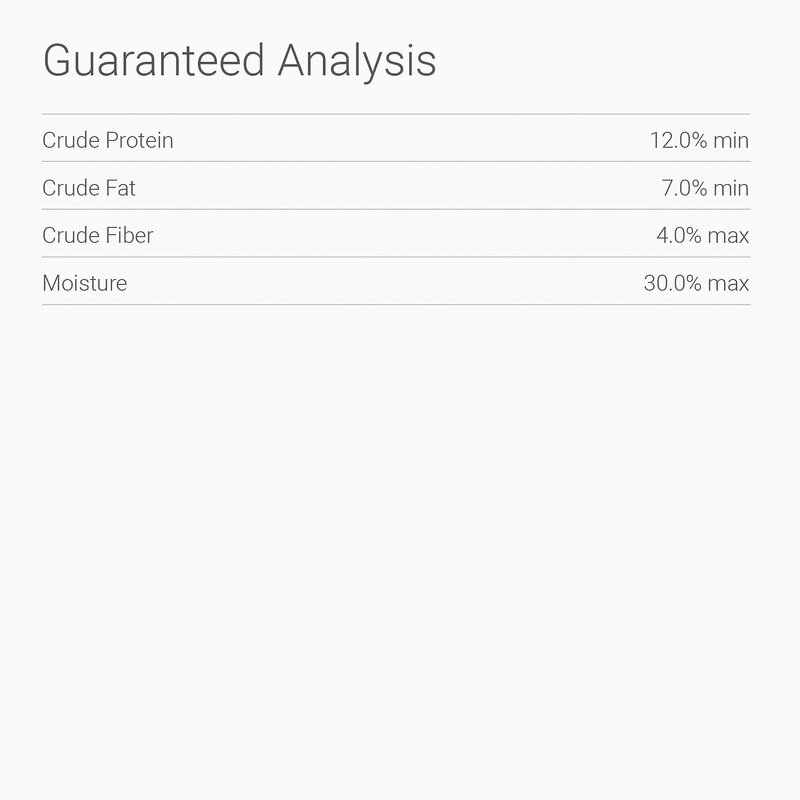 Their dog food and dog treats are made using real meat first, and contain carefully selected ingredients that provide powerful benefits like improved digestion and immune system support. They're perfect for people who prefer responsibly using nature's resources to care for their pets. My little guys just love these treats and since they are only 3 calories a treat I feel comfortable in using them to reward them throughout the day. I tried the pup peroni treats but didn’t like the ingredients. These have healthier ingredients that they enjoy..I’d buy them again in fact I have..
My bichpoo loves these treats and they are perfect for his training class! They do have a bit of a strong smell that’s what makes them so appealing to dogs ;) They’re small which makes them a great reward for training activities. Can give them multiple without worrying about calories and fat content. Plus they have good ingredients! Can’t argue for the price! I’ve been trying to train my puppy since she was little, and needed small treats like these, but all of them are expensive! Pet Botanics is such a great price for their quantity, and my dog loves them! Although they do dry up and get hard if they’re left out too long, but that’s expected (my dog will still eat them though, haha!). My chihuahua mix Paco loves these treats. And because they're very low in calories he can have a few throughout the day. I don't use them for training but just for treats, but I'm convinced they work well for training, too! I am pleased with Pet Botanics. I really don't use P.B. as a training reward. My dog is 18 and on a diet. She has to be careful not to over do her food intake. And that's easy for me to do. By giving P.B. to Mia after she's done something or for no reason is my way of giving her a treat and watching her weight at the same time. Our dog loves these treats! We usually get the mini size since our fur baby is a small Doxie but we just cut them in half for her. Either way she loves the various flavors and will beg for them! My dog Clover is having problems with her tear ducts and needs eye drops in her eyes as many times a day as mucus starts to cover her eyes and ointment twice a day to heal the ducts. It was a battle at first and then I started telling her how wonderful she was and giving her a Pet Botanics Training Reward every time she let me put in the drops & ointment. She loves them so much she lets me put in the drops now without a fuss because she knows the bacon treats are coming. 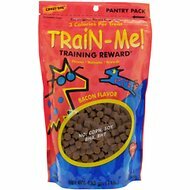 The treats are perfect for training or for just because. Rusty loves them so it is easy to get him to obey a command. I will definitely be ordering them again. I have 2 Aussies that LOVE these treats. Training my 9 week old has been so easy. She has learned SIT, DOWN, FRISBEE, DROP, and PAW in 1 week with the help of these treats! My 8 year old loves the refresher courses with a treat after each trick as well! Highly recommend these!